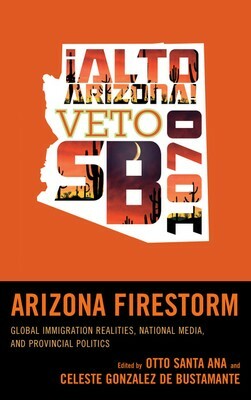 Santa Ana and a co-editor have published an anthology on Arizona anti-Latino and anti-immigrant politics, such as the notorious SB 1070. Arizona Firestorm: Global Immigration Realities, National Media & Provincial Politics (2012) consists of 14 original chapters that make a 2-prong argument. One, these official actions (which express local frustration at the effects of immigration) are parochial. They will prove ineffective in the face of globalization. In the absence of international statesmanship , such official actions recur across the globe, and both immigrant and recipient communities will suffer even more. Two, news media promote emotional public responses beyond Arizona because they chose to sensationalize rather than educate their audiences about immigration. When the media do not set local responses into an international context, they contribute to the nation's myopia.